June 29, Startupbootcamp Smart City program program will be meeting Barcelona’s top Smart City Startups in an online virtual Office Hours. This comes as part of our tour of meeting the best startups in local communities. The virtual office hours are informal. You will meet with our team to talk more about your business and what you are building. We will also provide you with more information about Startupbootcamp Smart City Dubai program and how to apply. 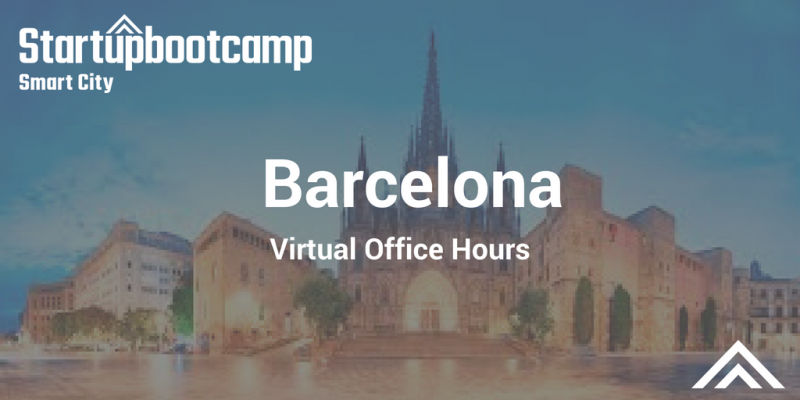 Simply complete this short online form to apply for the Virtual Office Hours held in Barcelona.